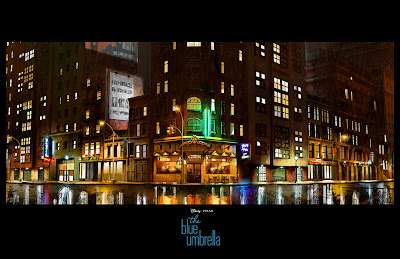 Earlier this morning, Pixarian Paul Abadilla uploaded some beautiful concept artwork that he worked on for the dreamy, heartwarming and photorealistic short film, The Blue Umbrella. What caught our attention the most while reviewing the images was that it reveals a glimpse of the people behind (or underneath) the blue and red umbrellas. 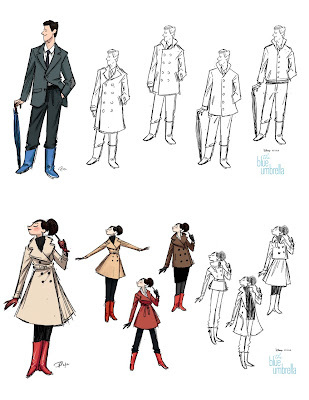 Previously, Saschka Unseld (Director) had mentioned that they purposefully left out the identities of the umbrella owners so that you could totally connect with the umbrella's story. 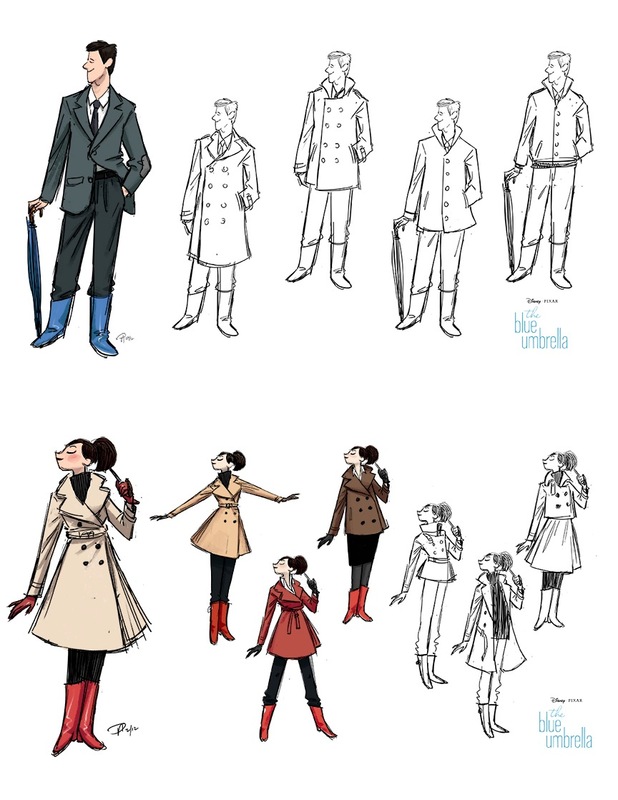 Needless to say, it's fantastic to see a peek at who may have been under the red and blue umbrellas. Be sure to head to Paul's blog to check out the rest of the amazing and wondrous city artwork that he worked on to help shape The Blue Umbrella. Congratulations again to the entire team for their beautiful creation.